Summer is finally here and many of us are planning our vacations. When you head out on a well-earned trip away from work and daily responsibilities, you want to focus on relaxing and having fun. You don’t want to worry about what’s going on at the place you live. If you want peace of mind on your next trip, here are five ways to protect your home while on vacation. You can’t wait to announce to all your friends on social media that you’re headed for someplace fun and exciting. You even plan on posting a day-by-day account of your adventures, complete with pictures, on your social media outlets like Facebook, Twitter, and Instagram. Unfortunately, the wrong person could end up seeing your posts and take it as an opportunity to rob your home while you are out of town. If you can’t wait until you return home to show off photos from your vacation, change the privacy settings on your social media so that only your closest family and friends can see your posts. Most burglars are opportunists who will break into a home that they pass by just because it looks like nobody is there. So make your interior look occupied to protect your home while on vacation. Start with timers that will turn your lights and TV on and off throughout the day so it looks like somebody is inside. Hold mail and newspaper deliveries. Ask a trusted friend or neighbor to pick up any flyers and packages left at your door and to keep an eye out. If you don’t already have one, ask a lawn care service to come during your vacation to keep the front and back yards well tended. Make sure all your doors and windows are secured to protect your home while on vacation. Jam a bar or rod at the bottom of your sliding glass door track so thieves can’t lift the door off its track to break in. Make sure all window coverings are closed. Use frost or dark film on any garage door glass, so thieves can’t look inside to see what’s there. Disconnect your garage door opener so nobody can hack it and open the garage door electronically while you’re gone. Lock your car doors and hide your car keys. If you have any keys hidden outside, bring them in. Burglars know where to look for all the secret hiding places. With the exception of your lights that are on timers, turn off and unplug any small appliances, computers, and entertainment systems that won’t be used while you’re gone. Otherwise, a power surge can damage them or produce a fire. If you’re going to be gone for more than a week, consider emptying your fridge and turning it off to save some money on utilities. You can also save some money by suspending your cable, Internet, and Netflix subscriptions if it is going to be an extended vacation. Despite all your precautions, burglars may still force their way into your home. This is where home security tech comes in. Installed alarms can start blaring, which not only scares away burglars but can send alerts to the police department and email or text you. Cameras can record what’s going on so thieves can be tracked down. 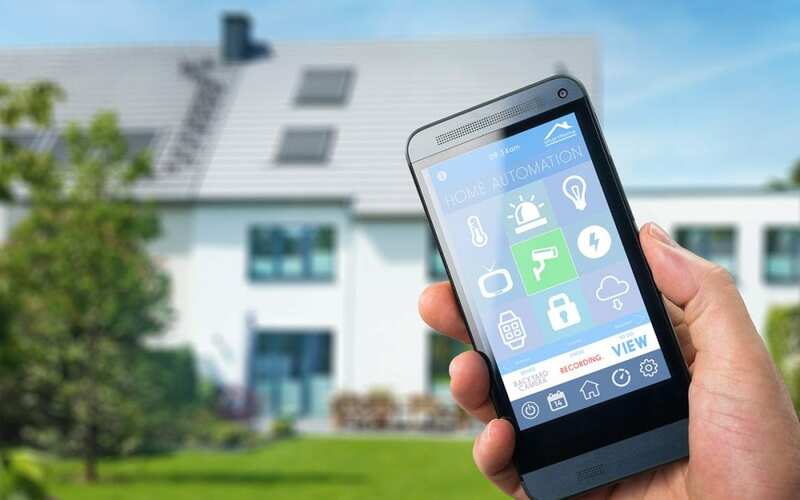 Most security systems these days offer an app for your smartphone so you can monitor what is going on at your home while you are away. If you have a security company, be sure to let them know when you will be out of town. Diligent Home Inspections is Maryland’s source for home inspection services and radon testing to keep your home functional and safe. To discuss your home inspection needs or book our services, contact us today.